Saloni Rose Sabatino was born in India and was adopted at the age of 2. She is a senior at John Handley High School in Winchester, Virginia. 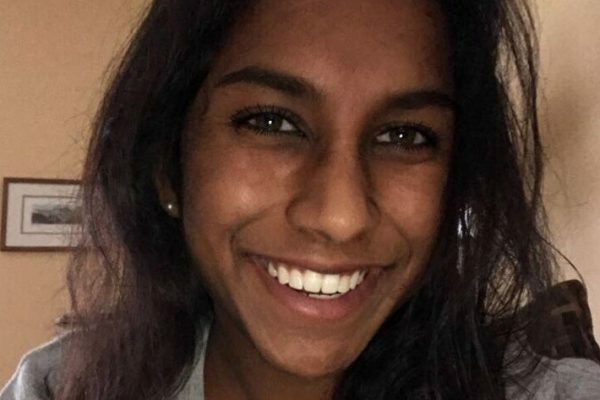 Since a young age community service has been a large part of Saloni’s life – each weekend she attends an event in hopes of making a family in need smile. Saloni is excited to meet all the Youth Summit participants as she believes that making global connections strengthens and enhances our confidence in helping those in need. Saloni is also excited to learn about what gifts and talents others have to offer at the Youth Summit. A fun fact about Saloni is that she has been figure skating since the age of three. She used to compete but now skates to stay fit and flexible.